WELCOME TO TECHE RIDGE HOMES! 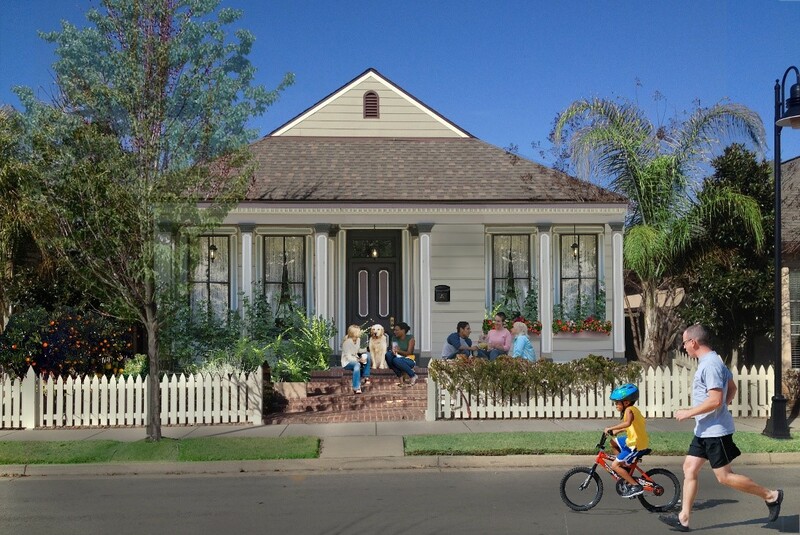 Teche Ridge is proud to present a collection of homes from top national and local traditional neighborhood designers customized and adapted for Teche Ridge. Click on the animated home plan book at the top of this page to explore our homes. 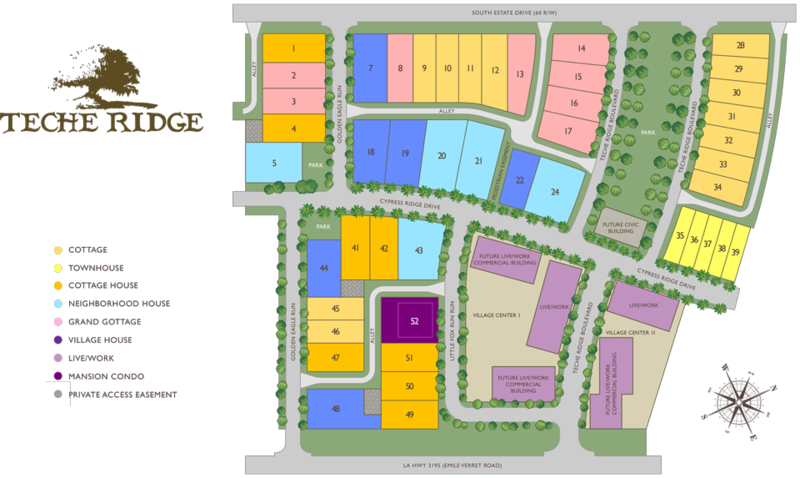 View the lots and parks on the site tour and the site plan to select the lot type and location that fits your lifestyle. You may select any plan from the floor plan book that is identified for that lot type or any plan from any preceding page in the plan book. EXAMPLE: A Village Lot buyer would be able to choose from any Village Lot Plan or any plan preceding the Village Lot Plans in the Plan Book. Custom home plans are welcome in Teche Ridge so long as they meet the Architectural Code in outward appearance. Plans from the home plan book may be customized by the buyer to meet their family lifestyle. The Teche Ridge designers will meet with you and your realtor to assist with these custom adaptations of your home. A Buyer may pick any elevation design that they like in the book and have that elevation style adapted to the floor plan they choose. All home plans must be reviewed and approved by the Teche Ridge Architectural Review Committee (The ARC) along with an adapted lot plan and landscape plan before a home can be built in Teche Ridge. Interested in a lot? Click the link on the right to contact one of our realtors.